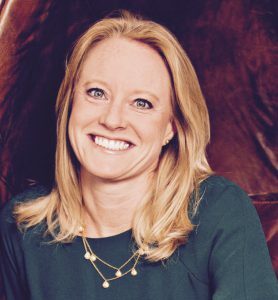 Anne Clews -TetraMap UK, Interview with Abby Barton, Head of Business Development and Leadership Coach at Wayra. How would you describe Wayra? 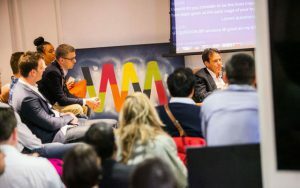 Wayra is Telefonica’s Corporate Accelerator and our mission is to help accelerate the best digital start-ups. The startups get access to the scale of a global Telco including its people, clients, and customers; and Telefonica gets access to cutting-edge innovation and an opportunity to learn from the start-up approach to business. Why did you choose to incorporate TetraMap into WYRA? Last year I held my first TetraMap session with 50 start-up entrepreneurs from Wayra. I was curious to see how their makeup would differ from corporate employees and I needed a fast and impactful way to open their eyes to different behavioural preferences. What is your Role within WAYRA? As the Leadership Coach at Wayra, my role is it to help founders of Start-Ups, to discover and build on their strengths, whether it be Fire, Earth, Water (or the occasional Air! ), and develop themselves as authentic CEO leaders of their companies. Also as Head of Business Development, I act as an interface between the Start-Ups and Telefonica – part matchmaker, referee, an interpreter! I have been very fortunate to work with both corporates and start-ups at the same time, but they are very different animals, and TetraMap has helped them (and me) understand these differences and leverage the diversity. So, how does a Start-Up view the world? Rules of the game – there aren’t any! What did you and the delegates learn from TetraMap? TetraMap results showed the group had a higher than average Fire and Earth preference. In a Start-Up world, no idea is totally unique but success comes down to selling your dream and executing it faster and better than anyone else. I often see start-ups who have amazing dreams that they can convey brilliantly to investors to get funding. However, problems often arise when they lose sight of the goal and don’t deliver. On the other hand, some have goals and plans they deliver, but they don’t dream big enough and play it safe. As a result, they don’t meet their full potential and end up with a small to medium business rather than aiming to become the next $billion company. How has TetraMap helped Start-Ups? Dreaming big and being brilliant at storytelling your vision so people believe what you believe. Setting clear goals to reach your vision and being obsessively focused on execution, so people believe you can achieve your vision. Having a plan to reach the goals so people trust you – they see you’ve thought through your options before making your choices. Having a complimentary balance of elements on the team – recruit people who share your vision but not necessarily all your preferences! TetraMap provides an important framework both for my leadership coaching and developing my business. After introducing TetraMap to the start-up CEOs, we had a shared language and understanding to work through their strengths as leaders and explore the issues they face with their business or their teams. Personally, I believe TetraMap has strengthened my influencing skills that enabled me to secure 65 trials and contracts for Wayra Start-Ups, and be voted no.1 start-up accelerator for business development. Being of a Water Fire preference – I’m all about people and possibilities. TetraMap helps me facilitate the process of making things happen for other people, helping them discover and fulfil their potential – whether as a coach or a business mentor. I have been very fortunate to work with both corporates and start-ups at the same time but they are very different animals and TetraMap has helped them (and me) understand these differences and leverage the diversity. Abby Barton, Head of Business Development and Leadership Coach at Wayra. Wayra is a start-up accelerator owned by Telefónica Open Future, a global entrepreneurship and innovation network, open to partners. 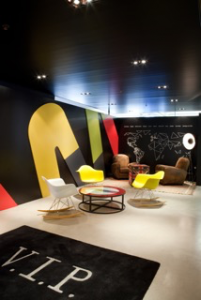 You can find out more about Wayra here.